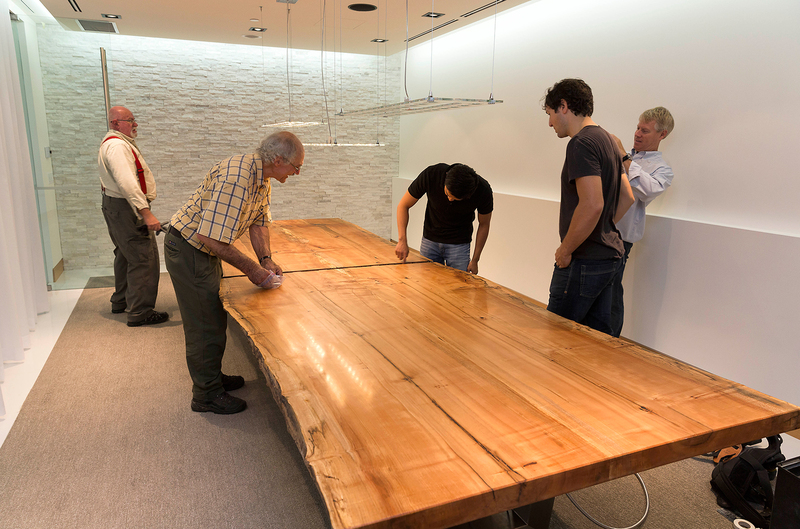 This massive “one Tree” live edge boardroom table measures 15 feet by 5 feet and weighs 600 kg. 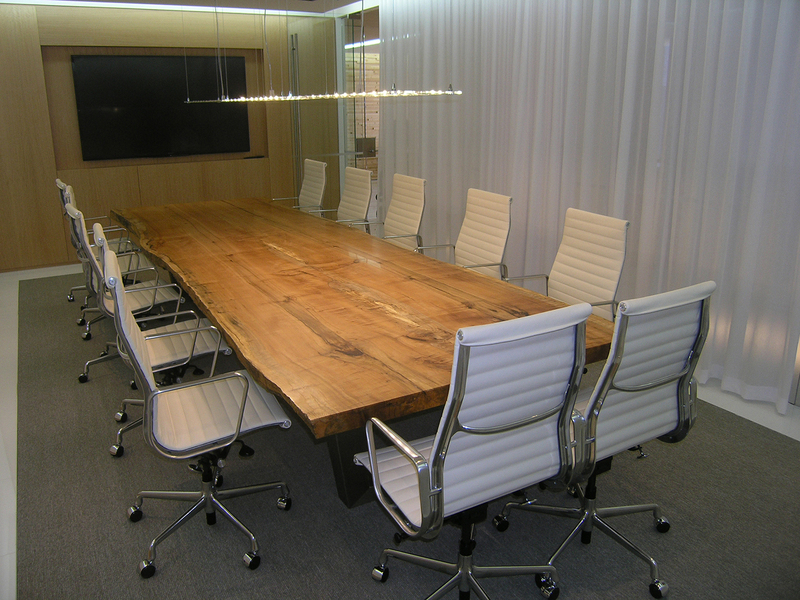 Stainless steel base embodies all boardroom electronics and communications links. 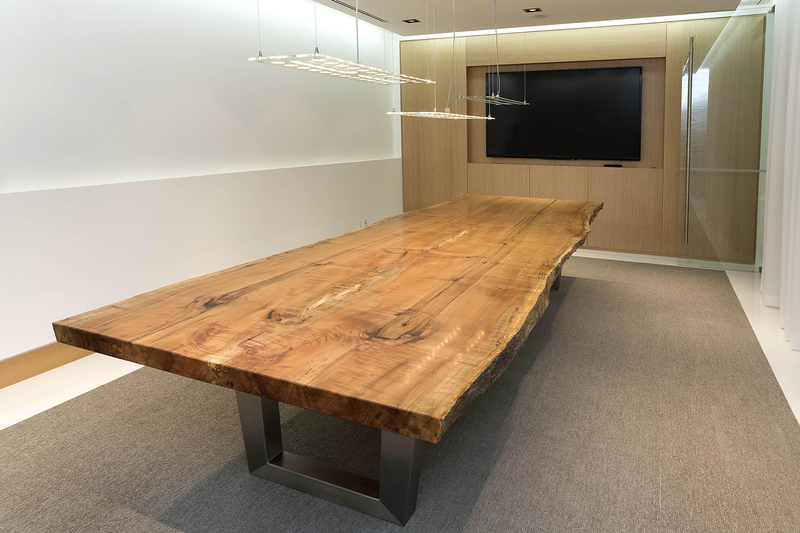 This boardroom table is truly unique in its combination of a spectacular figured maple slab, stainless steel base and the sheer size. The top measures 15′ by 5′ and is almost 3″ thick. The total weight of this table is 600kg and it had to be designed to be moved into the 9th floor of the TD tower. The table top houses power, communications and A/V equipment. To be able to ship and move the table top, I had to cut it in half, yet it was my desire (and the customers) to have no leg support in the middle. This was accomplished with a combination of welded, double angle iron support imbedded into the wood. None of the support structure or power equipment can be seen from the side. The grain matches perfectly and reassembled, the cut line is hardly visible.